When Mass Effect 3 was released, longstanding fans were horrified by the mutant aberrations that stared back at them once they imported their Mass Effect 2 save games. Some shrugged off this bug that butchers any Shepard created back in the original Mass Effect, electing to accept either the male or the female default model; others struggled to meticulously recreate their personalized hero; and many more reluctantly settled in to wait for a fix, steadfastly refusing to play through the conclusion to the series with any character other than their own. The error affects players who import data through all three games and stems from the different methods used to generate faces in each title. 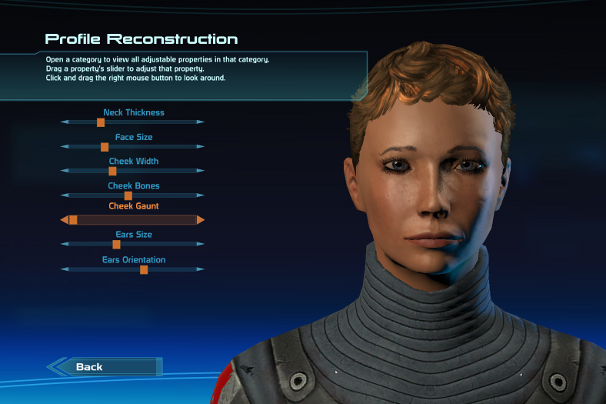 Characters originally created in the sequel can be imported to the third game without issue, but Mass Effect 2 replicates the imported model from the first game rather than creating a viable face code that can survive the transition to Mass Effect 3. Chris Priestly reported the discovery of a solution on March 21st but explained that thorough testing was required to ensure that its implementation would not create new technical issues. Naturally, this problem has led to quite an outcry; the Bioware Social Network forum thread tracking the status of the bug stretches for nearly 300 pages filled with detailed reports from users demonstrating the botched results of their own import attempts, complex workarounds with mixed results, and not a small number of posts pointing out how shameful it is that such a high-profile game could be released with a central series feature completely broken. The players affected by the face import bug are those who have taken the complete journey alongside the developer from the start of the trilogy, representing Bioware's core audience and the loudest voices; the public relations fallout resulting from many thousands of would-be players pre-ordering the $80 collector's edition and finding themselves effectively unable to enjoy it for an entire month has probably contributed to the ongoing popular perception that EA, the “worst company in America,” has ruined Bioware. However, the developer seems determined to fix the problems that have plagued Mass Effect 3 since its launch nearly all at once. Only yesterday Bioware announced free DLC to expand the game's ending and provide greater closure in response to criticism from fans. Now the long-awaited face import fix has been promised as part of a patch that will hit PC copies on April 9th and consoles on the 10th, alongside a free multiplayer Resurgence Pack containing new characters, maps, and weapons.